If you live in a hurricane zone, it is important that you are aware of what to do if the worst happens. While there are specific safety bulletins that are applied during specific catastrophes, it is vital that you know about general safety tips for hurricanes. In this post, we will provide you with some background information on hurricanes, as well as some crucial safety tips you need to follow. There have been a number of high profile hurricanes across the globe over the past decade. Most recently, hurricane Irma churned across the Atlantic Ocean, causing devastation. When it hit the Caribbean, it was classed as a category five storm. Residents are still feeling the impact of this powerful storm. Of course, other storms that have caused devastation include Hurricane Katrina in 2005, which reached winds up to 175 mph. This was also classed as a category five storm. 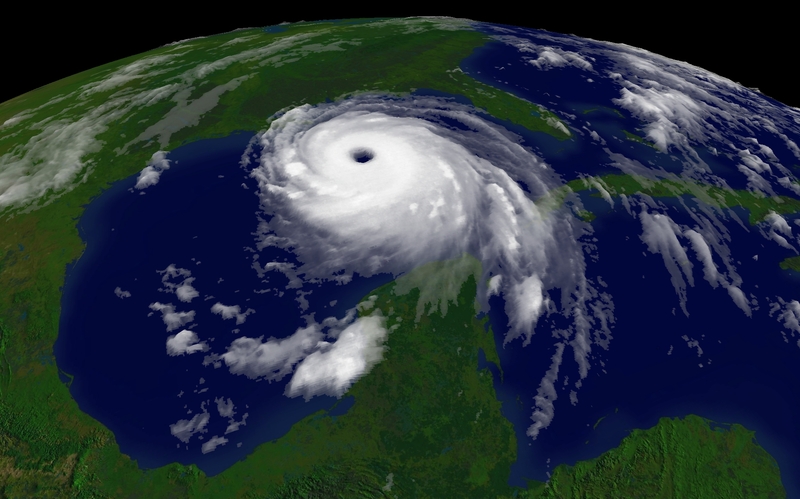 Other hurricanes that have caused devastation include Andrew, Camille, Mitch, Rita, and Gilbert, which ripped through the Gulf of Mexico and the Caribbean in 1988. The devastation that occurs after a storm like the ones mentioned above is something that cannot be done justice with mere words. People return to the place they once called home to find that there is nothing left of their house and business. Luckily, the world comes together to try and help those people. There are a number of non-profit organisations that have been set up to assist, providing canned goods, water, and any other supplies that are required. Cane Bay Partners VI, which was founded by Kirk Chewning and David Johnson, is a good example of this. With the donations and assistance from these organisations, there would be no way back for the areas devastated by hurricanes. Do not take a bath or shower during the storm. Do not use your phone and stay away from electrical equipment. This is important because of the risk of lighting during a hurricane. Do not go outside. This may sound obvious, but you should not go outside until the storm has completely passed. There have been many cases whereby there is a period of calm and people assume the storm is over, only to find that it isn’t. At the other side of the eye, the wind speed increases at a rapid pace, and the hurricane force comes from another direction. No matter how curious you are, don’t go outside! Turn off major appliances if your home loses power so that you can minimise damage. Do not use electrical appliances. Turn off electricity at the main breaker if flooding threatens your home. Find a safe area in the home, for example, a closet or bathroom on the lower level. You need to stay away from glass doors, skylights, and windows. Loans: When Is It Acceptable To Borrow Money?